This morning I took a picture of my breakfast. It occurs to me that maybe I should get out of the house more. But can you blame me? Look how pretty it looks. And yes, in case you were wondering, it was delicious. 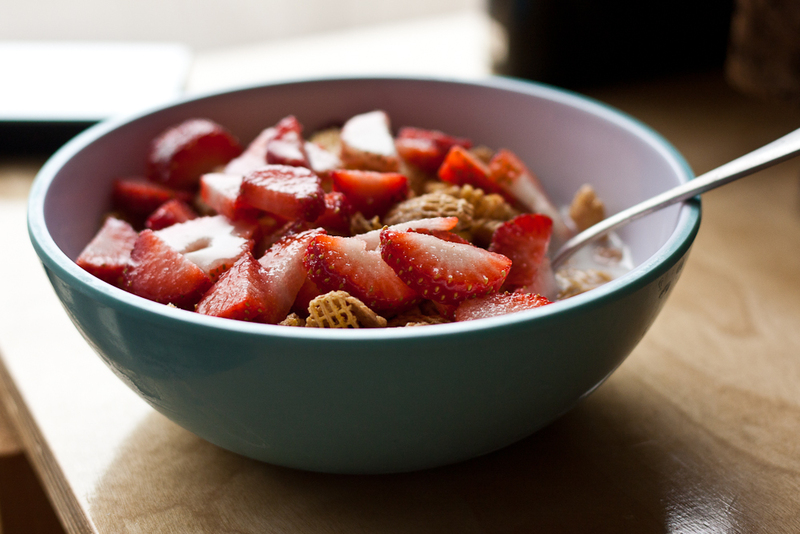 Did I pick that bowl out specifically because I planned to photograph my breakfast? Yes. I have priorities. And cereal is one of them. It is, though I’m a little ashamed to admit it, one of my absolute favorite foods. I’ve been known to skip dinner and eat a bowl before bed. I’d say it would be my “desert island” food but inevitably the milk would curdle in the hot tropical sun and then I’d be screwed. What’s your favorite kind of cereal? Answer carefully — I’m judging you.